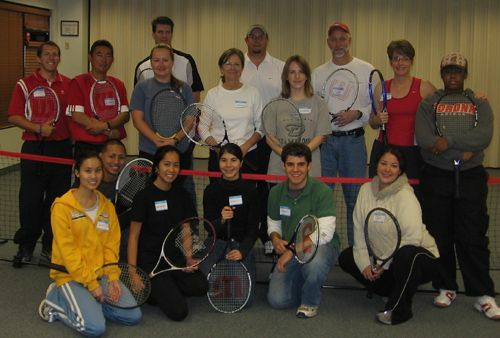 USTA Central Arizona has teamed up with Big Brothers Big Sisters to offer a new sports and citizenship program in 2007. Your Turn For Tennis will offer Bigs and Littles an opportunity to learn and play tennis at Kiwanis Tennis Center in Tempe, AZ. A recreational coaches workshop was held on Saturday, January 20th, for fifteen new coaches for the Your Turn For Tennis program. These new coaches will assist the professional teaching staff at Kiwanis Tennis Center to give lessons to Bigs and Littles who register for on-going classes. The workshop was conducted by Bill Lucero from the USTA Southwest Section. 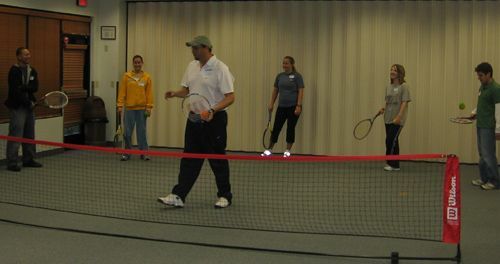 For more details on the Your Turn For Tennis program Click Here. If you are interested in helping this program and attending a future coaches workshop, email Larry@PhoenixTennis.com.